Karnataka is all set to launch air sports tourism in Mysuru. Karnataka State Tourism Development Corporation (KSTDC) has called for a tender and is expected to finalise it by one month. 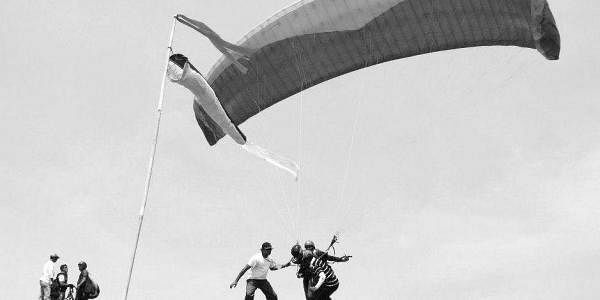 BENGALURU: Karnataka is all set to launch air sports tourism in Mysuru. Karnataka State Tourism Development Corporation (KSTDC) has called for a tender and is expected to finalise it by one month. During Dasara 2016, KSTDC had introduced helicopter joy rides which took tourists on a 10-minute ride over the city’s key landmarks including Amba Vilas Palace, Lalitha Mahal Palace hotel, Rajendra Vilas Palace and Chamundi Hills. “We had introduced the service only as a pilot during Dasara and it was one of the major attractions. Now we are planning to make it long-term service. We have called for a tender as we are planning to start air sports tourism in Mysuru,’’ said Kumar Pushkar, Managing Director, KSTDC. KSTDC sources said various air sports like paragliding, sky diving, hot air balloon and many more will be introduced in Mysuru. “This also includes amphibious aircraft riding (which can take off and land on both land and water),’’ sources said. “We have called the tender where the bidder is supposed to provide quality material along with well trained pilots, instructors, staff and safety equipment. It is happening in a fullfledged manner in Karnataka for the first time,” they added. Official sources also said once the service is implemented in Mysuru, it will be extended to other tourist destinations including Belagavi, and Hampi in Ballari district. “Through this, we want to attract more tourists,’’ said sources.